With the introduction of Perspex® Naturals, a new collection of acrylics replicating the earthy tones found in natural stone, our design team has been busy revamping our exclusive range of pictograms. Graphics are digitally screen-printed to the surface, using the on-trend, no-frills FF Netto typeface by Daniel Utz. 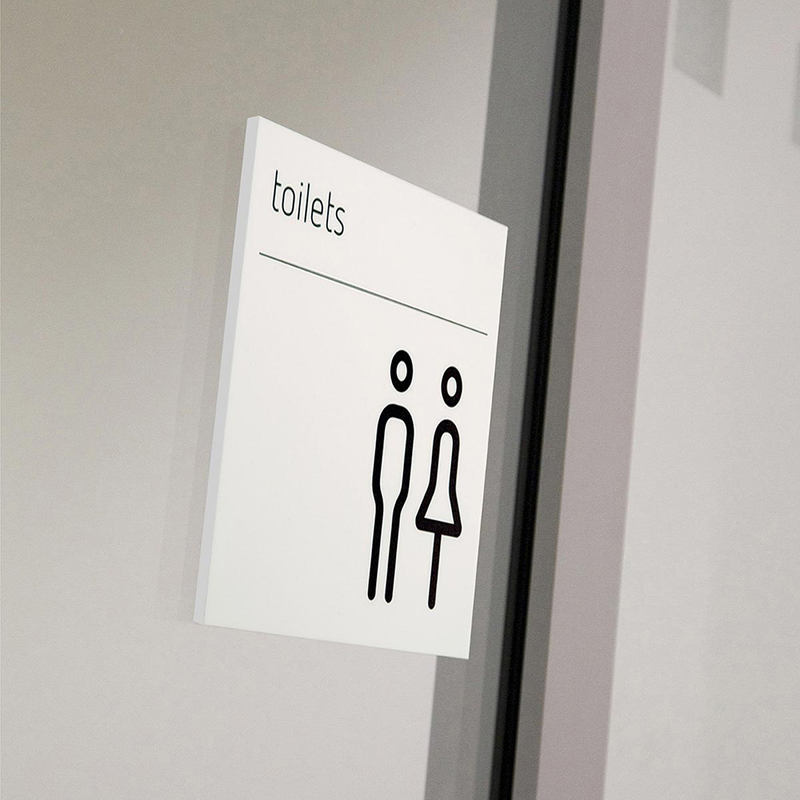 Pictograms are based upon the most popular symbols used for wayfinding with 15 options available from stock. If a particular design is required, please contact our team for advice. From hospitality to workplace, education to healthcare, the Perspex® Naturals Matt Design range will suit both traditional or contemporary interiors. Its double sided matt surface meets the desire for simple, natural-looking materials that perform to high standards in demanding environments. Pictograms are supplied complete with VHB (Very High Bond) double sided tape fixings to rear or add an elegant shadow gap with PixFix.